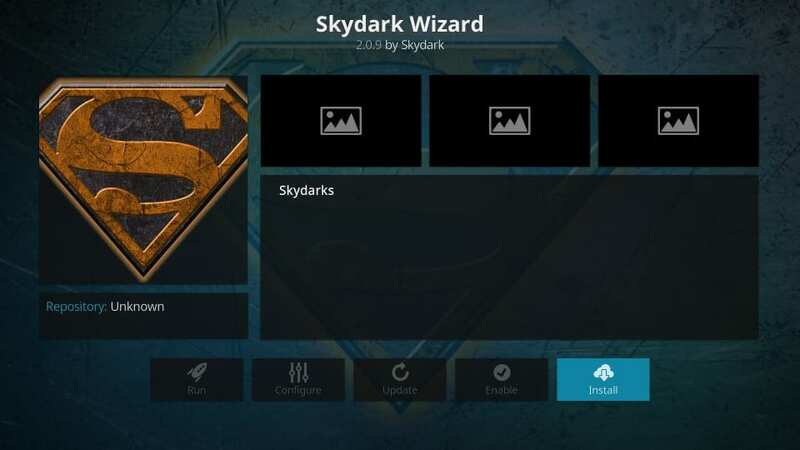 In this guide, I am providing the steps to install SkyDark build on Kodi. 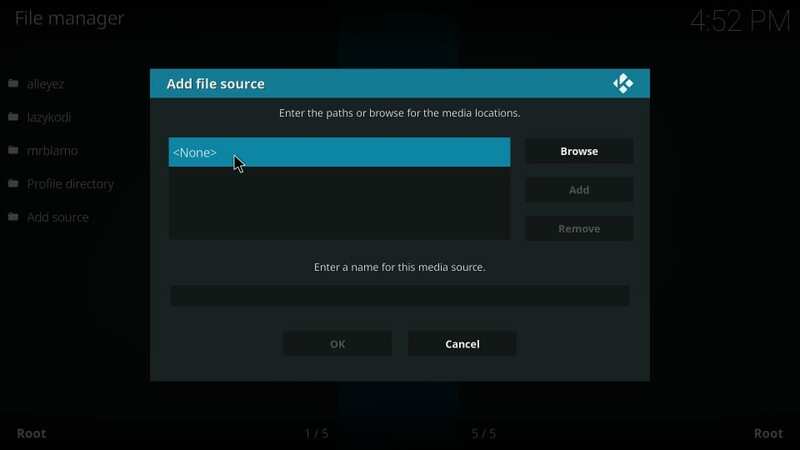 These steps will work on all the Kodi supported devices, such as Windows PC, Mac, Android, TV devices like FireStick and Android Boxes. 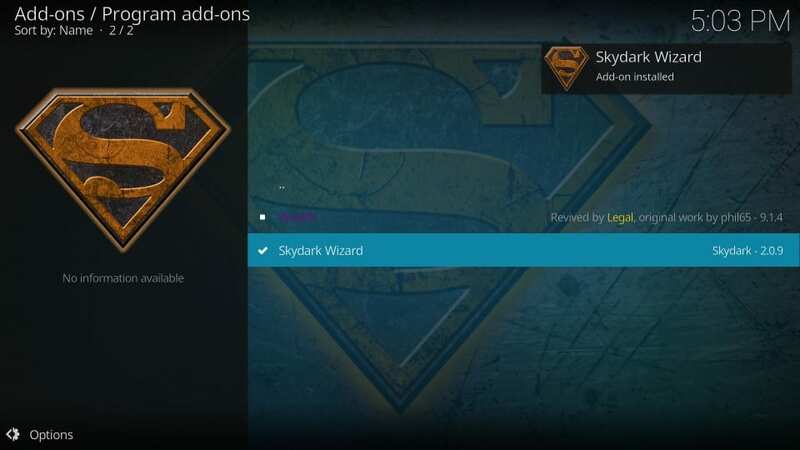 SkyDark Hydra is the part of the SkyDark Wizard, which also hosts a bunch of other builds. 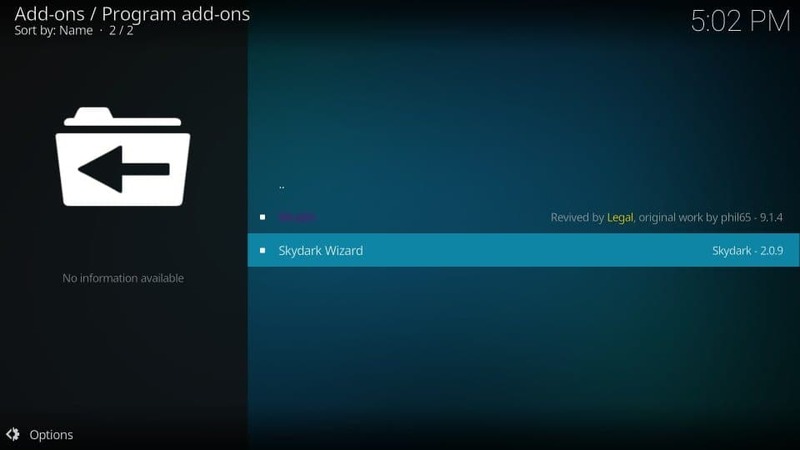 This build packs a solid collection of video addons. 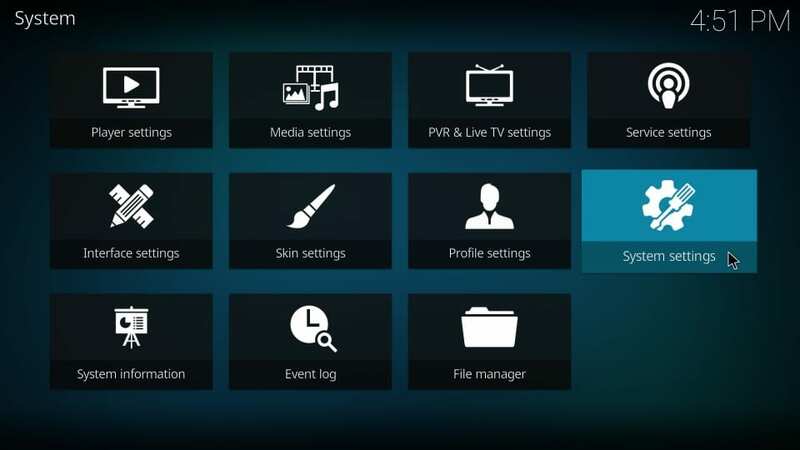 Its on-demand sections (movies and TV shows) are particularly impressive with addons like The Magic Dragon, Corona and a few more. You will also find decent options for Sports and Kids stuff. 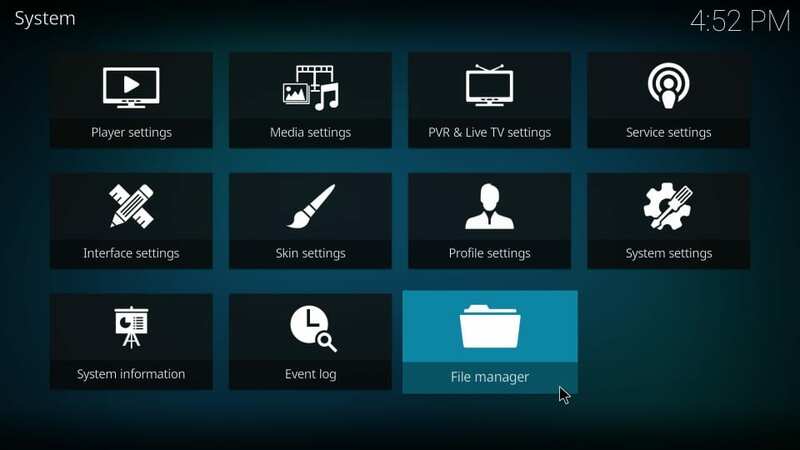 Live TV isn’t really great, but you can supplement the build with more live TV addons from our list of top Kodi addons. 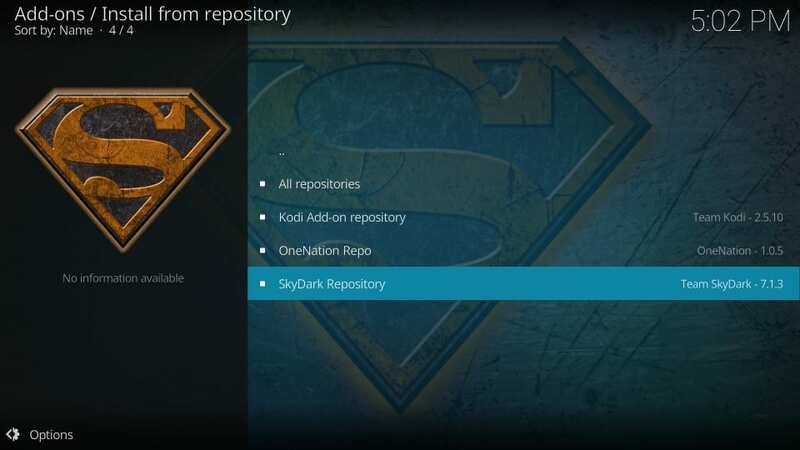 SkyDark Hydra Kodi build may look a bit complicated, but you will get used to it within a few minutes. The build could be a little heavy too. Yet, I find it fast and smooth on most devices. It did slow down a bit on FireStick, but it was still acceptable. Follow the steps below to install SkyDark build on Kodi and give it a try! 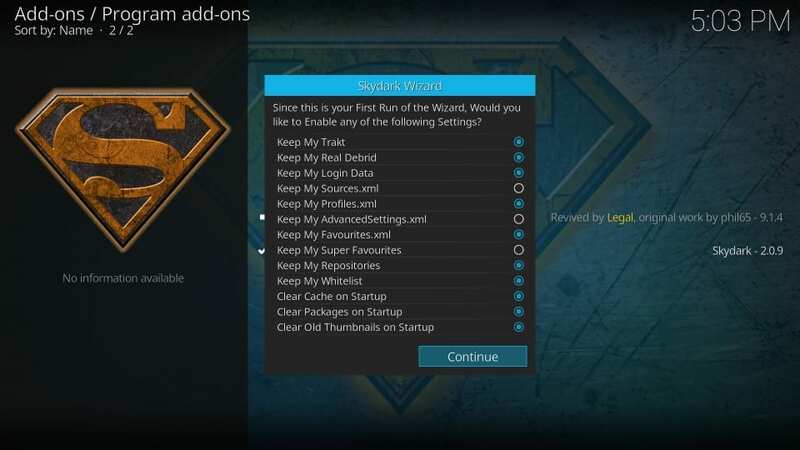 #4: Select the Add-ons option. It is on the left menu. 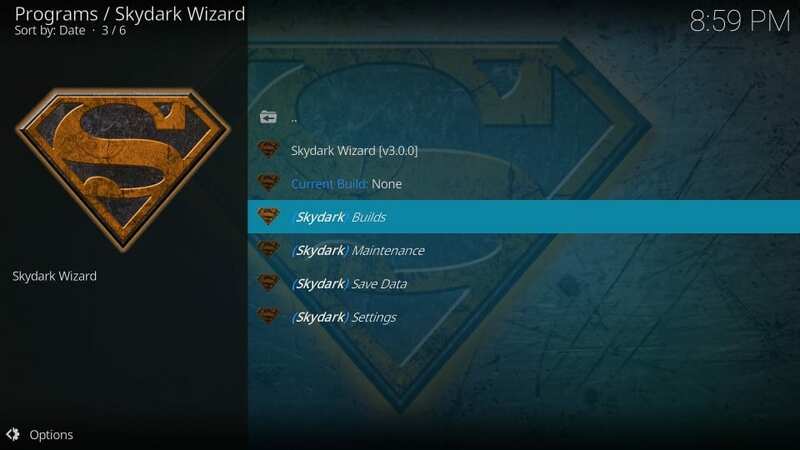 You are ready to install the SkyDark build. 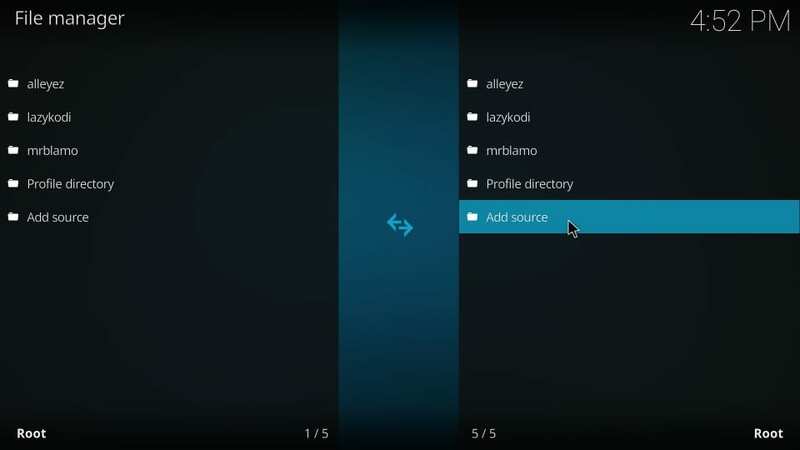 #3: You should see Add source on both sides of the next screen. Click any one of them and go to the next step. #21: The second drop-down displays some settings. 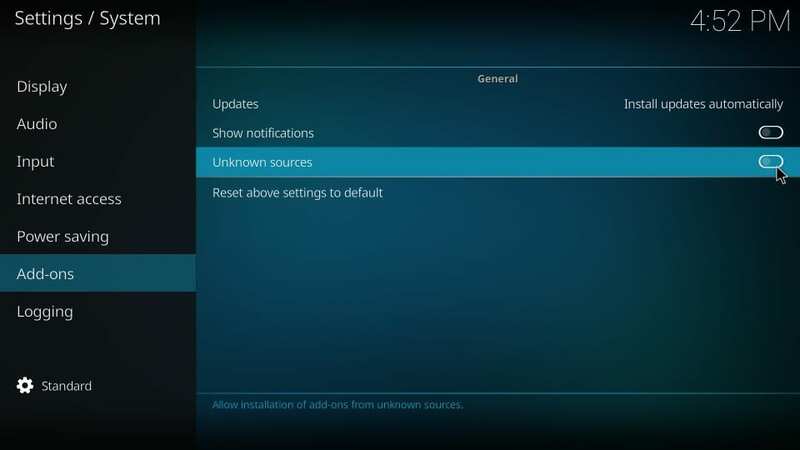 Select any settings you want to change. Or, you may leave everything unchanged. 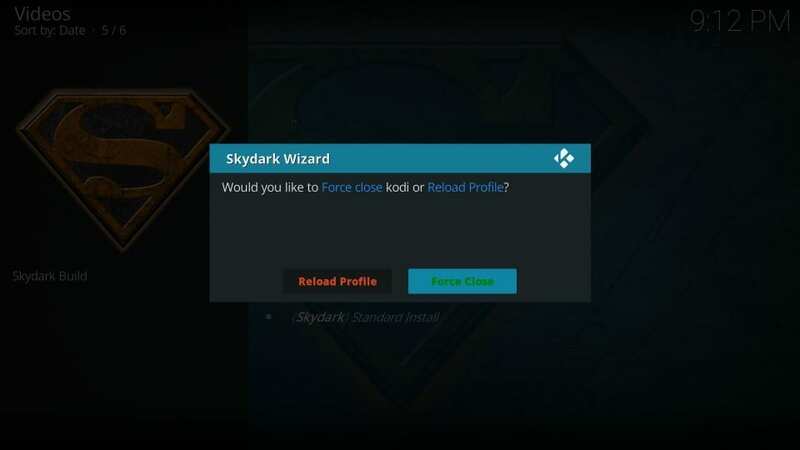 We have installed the Skydark Wizard. 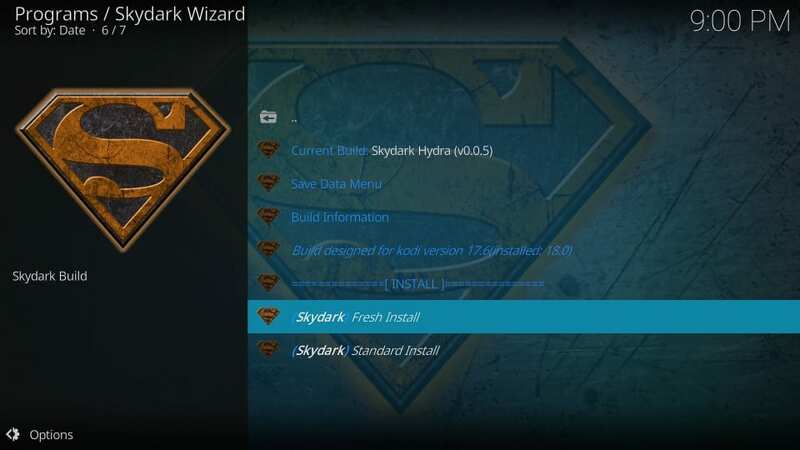 Now we come to the final part where we install the SkyDark build on Kodi. Keep following the steps! Note: SkyDark Wizard has builds for Kodi 18 Leia as well. 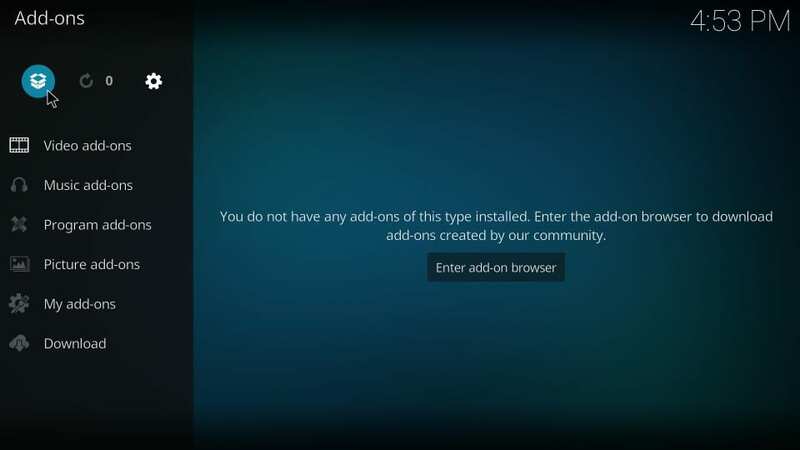 But, currently, Leia builds either don’t install or are not stable when installed. 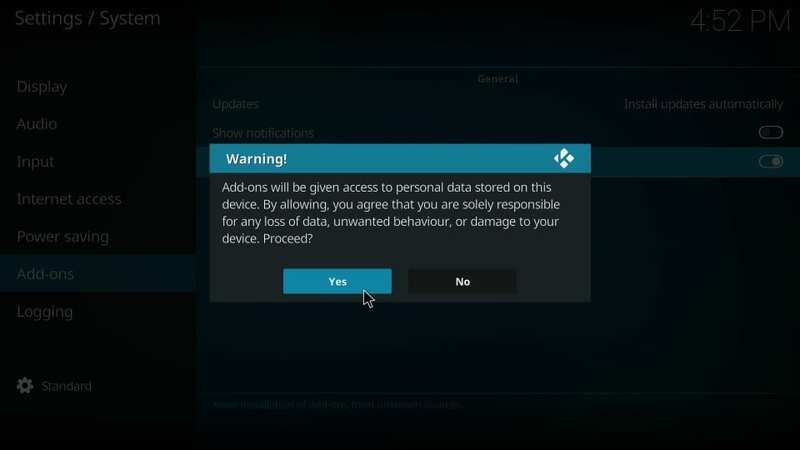 Choosing this option will erase all your existing data on Kodi and bring it back to the default factory settings. This is the recommended option. Builds installed on fresh Kodi perform better. 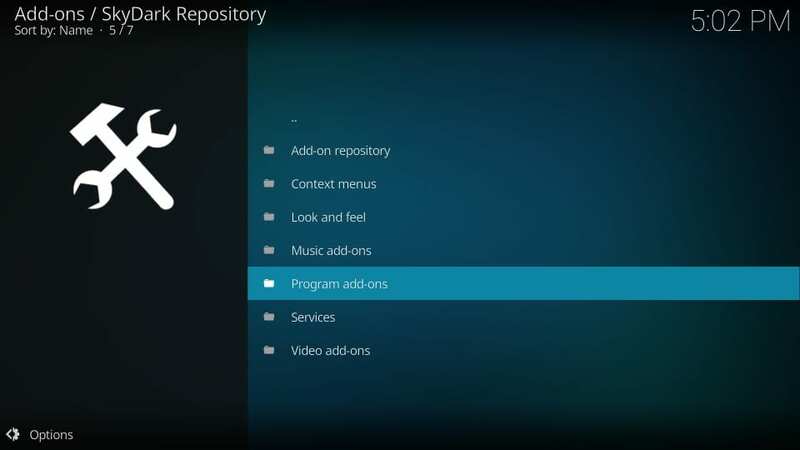 #30: Kodi will now want to confirm if you wish to restore Kodi configuration to default settings. 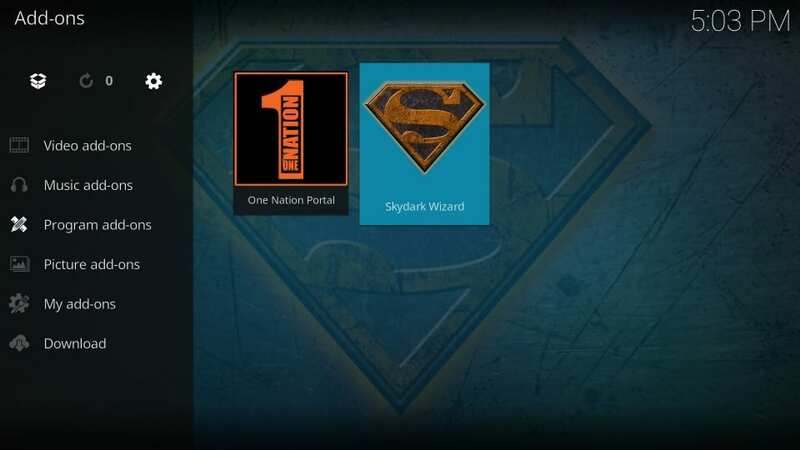 #31: Now wait for the Skydark Kodi build to download and install. 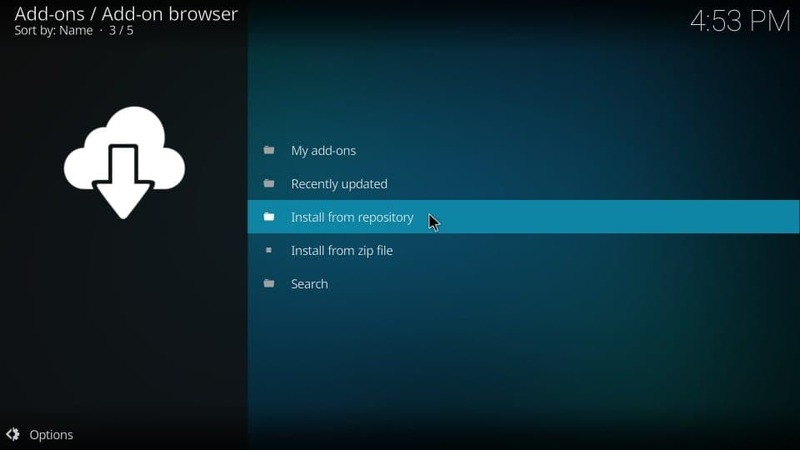 Build installation usually takes several minutes depending upon the internet speed and hardware specs of the device. Usually, you should have the build ready to use in 4-5 minutes. 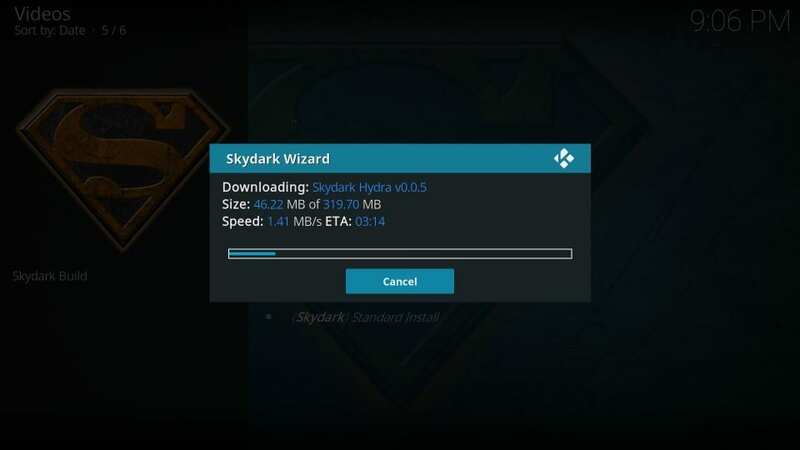 Skydark is nearly 320 MB in size, but when it installs in unpacks more than 450 MB data. Well, that will be all! 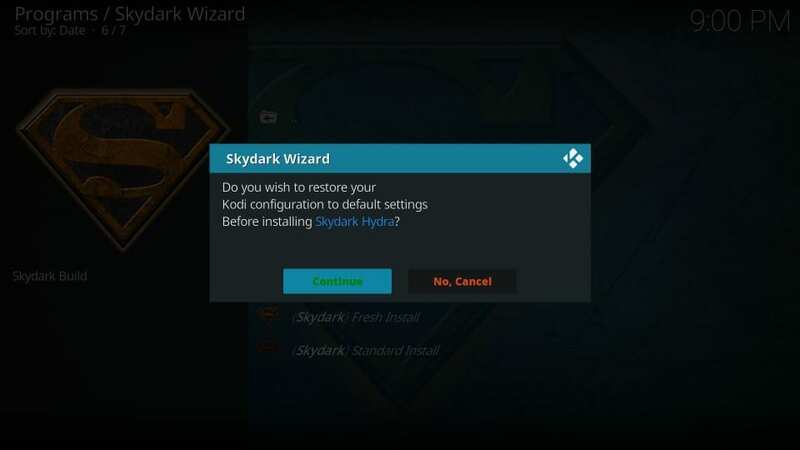 You have successfully installed the SkyDark Build on Kodi. 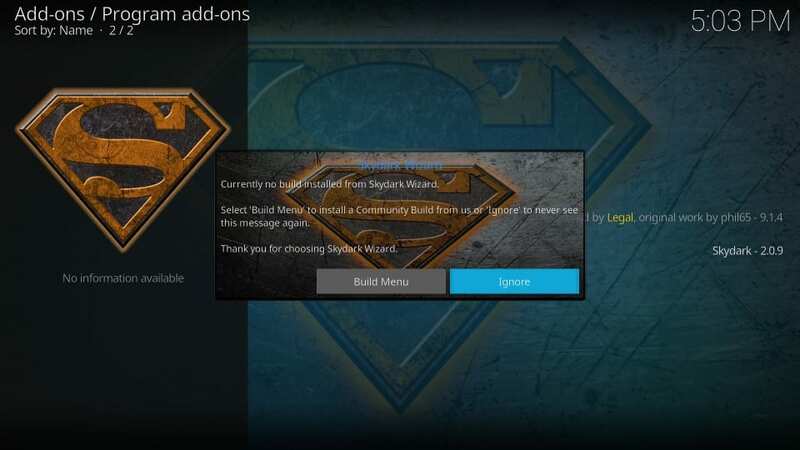 Now that you have installed the build, you would want to explore it. Let me help you get started. 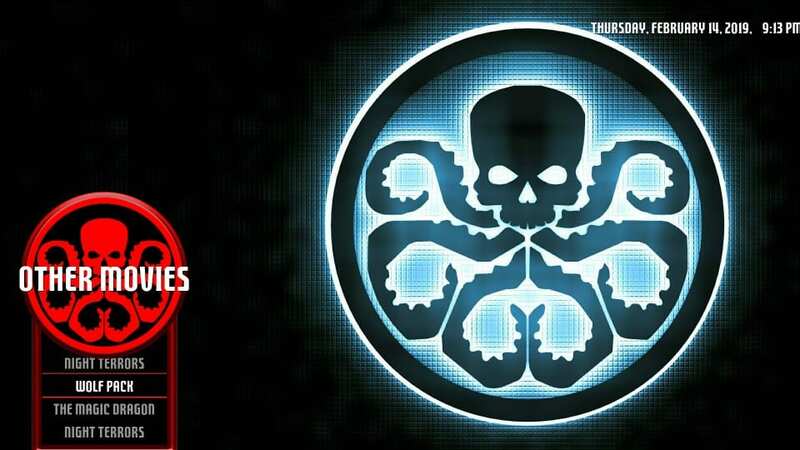 If you like watching on-demand movies and shows, there are lots of cool addons for you like Monster Munch, Corona, The Magic Dragon, Deceit and more. Sports section also looks promising with SportsDevil, Supremacy Sports, and Rising Tides. Live TV is the area where SkyDark stumbles. 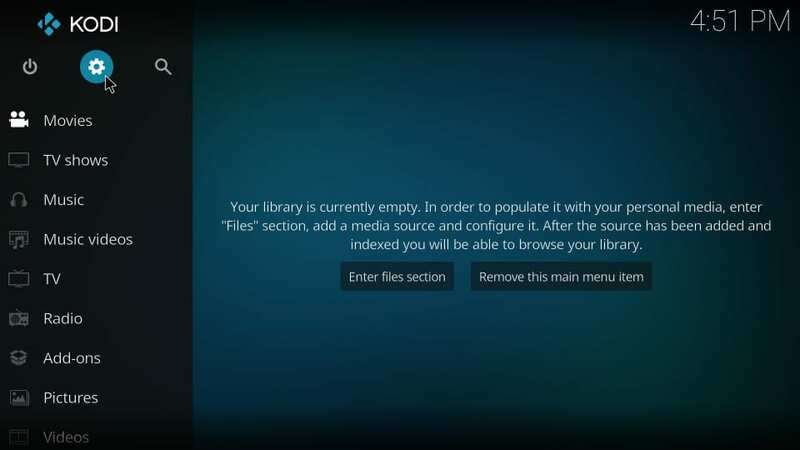 However, it’s not as much on the build as on the inability of the addon developers to maintain live TV addons. 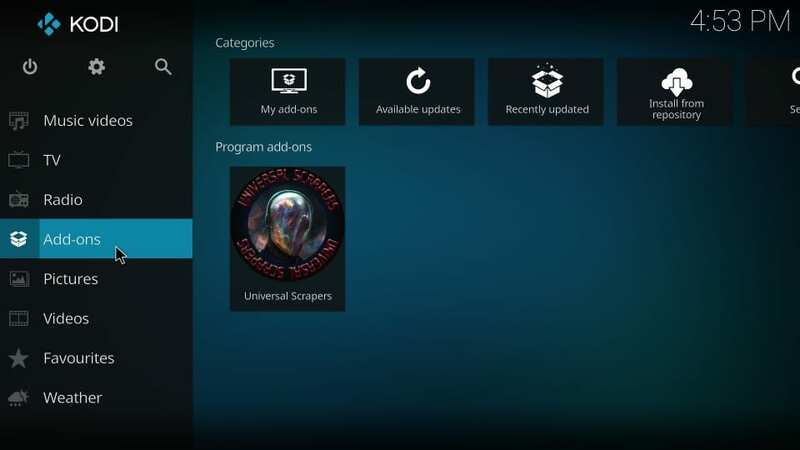 Most Live TV addons here barely fetch any content. You could try Deceit, which has a decent selection and many streams work. 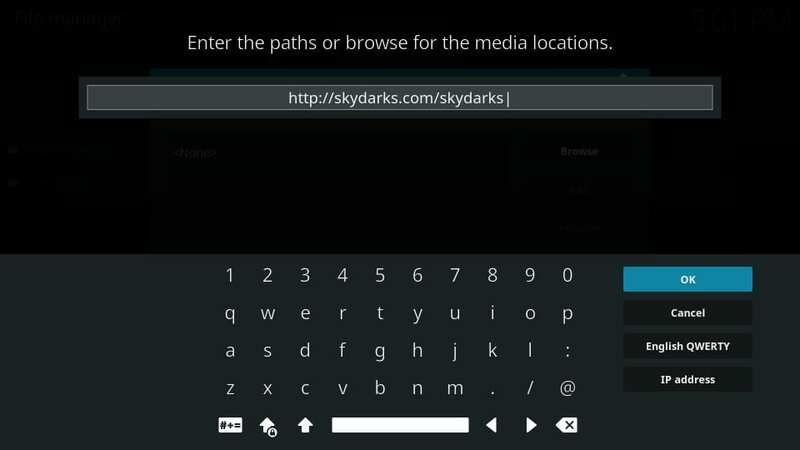 While SkyDark may not be the best Kodi build, it has enough merits to earn its keep in our Best Kodi Builds list. 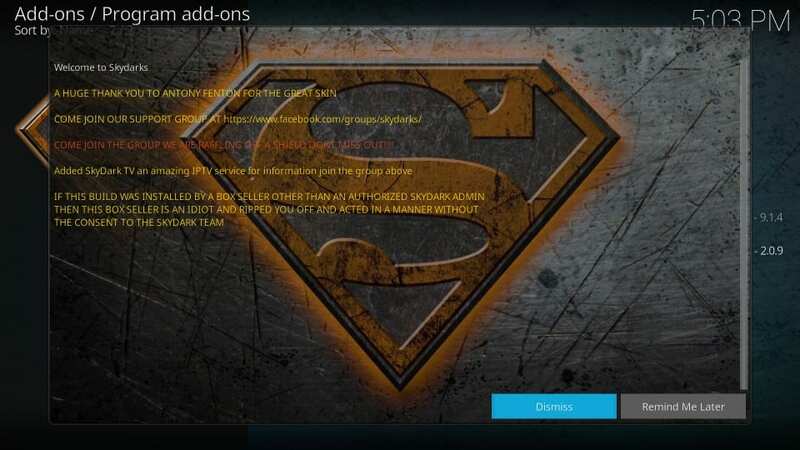 It has some of the best addons for movies and shows. There is plenty for the kids too. 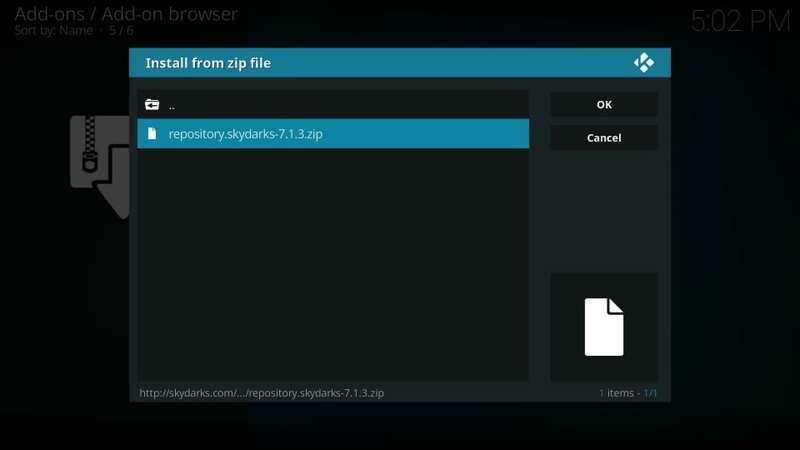 SkyDark is lightweight and smooth. Give it a try.